Never one for shying away from bold fashion moves, Bieber has gone and done it again with a new, questionable addition to his catalogue of looks. This time, the fashion choice comes in the form of some hair sprouting from just above his top lip. 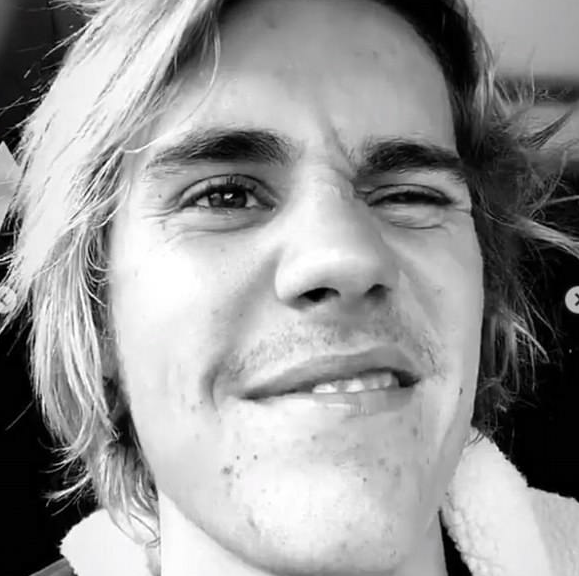 Sharing the gorgeous growth on his Instagram story, Bieber captioned the video ‘I am Joe Dirt’ as he played with the thin strands of hair. Of course, you can’t have 100 million followers on social media and not garner some reactions to your new look. omg i can literally smell this tweet? Of course, Bieber has documented his facial hair journey so some weeks now, sharing pictures of the emerging growth captioned ‘long hair don’t care and my stash is gorgeous’. And the inspiration behind the new look? Well, judging by his recent Instagram posts, it’s probably got something to do with his current ‘man crush’ – the similarly hairy, heavily tattooed Post Malone. In fact, Bieber has posted a fair few pictures of himself and Malone hanging out, Skyping, playing piano together and generally being a couple of really cool bros. While the moustache is one thing, it may be while before we see Bieber with as many additions to his face as Post Malone, who is becoming as well known for his choice of inkings than he is for his music. In fact, the Texas-based singer, known for his string of hits including White Iverson, Rockstar and Congratulations, recently got a new face tat that really speaks volumes. In DeGross’ Instagram bio, he describes himself as Post’s personal tour photographer, this means part of his job is to document the rapper and singer-songwriter’s life on the road. In this recent post, he shows an intimate look at Post getting hooked up with some sweet new ink by tattoo artist Chad Rowe. As you can see from the DeGross’ post, Post Malone got the words ‘Always Tired’ tattooed underneath his eyes. This isn’t the first tattoo Post Malone has inked on his face, around his head he’s got a crown of thorns, and above his right eye he has the words ‘Stay Away’, as well as a sword down the right hand side of his face. Justin, however, will always be the fresh-cut pop star everyone knows him as. So while he does have his fair share of tattoos on his body, it may be a while before we see any fresh ink on his face.